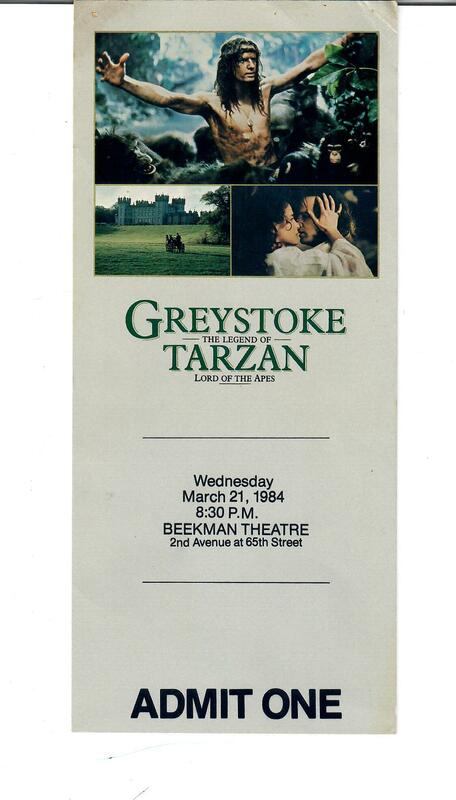 Here is an unused special ADMIT ONE..movie pass to GREYSTOKE, THE LEGEND OF TARZAN, 1984. This is in nice shape. Top corner are a little creased and a stain on one corner (please see photos). This is a very rare item, never seen. 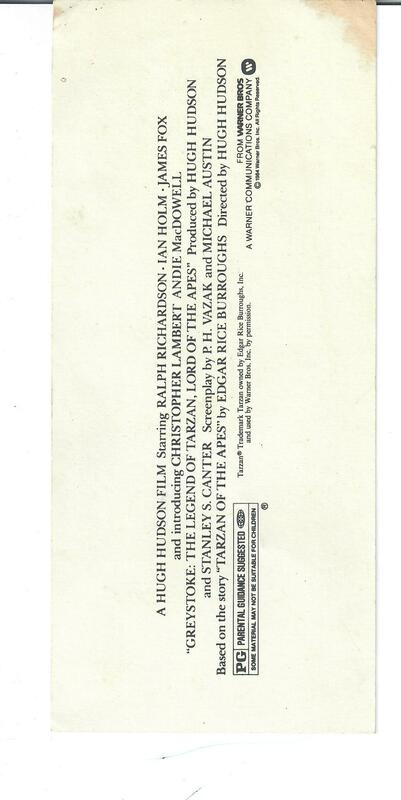 It states on the front the date and time of movie and the theater where it is showing. sold as is..No returns on this item.